Could a Heat Pump Be the Right Choice for Your Home? The technology that powers heat pumps is not new. You have the same technology at work in your refrigerator and air conditioner. But in these two appliances, the heat pump is being used only for cooling. A heat pump can also be used for heating, in a similar way to how a traditional furnace heats your home. As the technology improves to handle temperature extremes, heat pumps are becoming popular in Canada for heating and cooling the home. As well, under the right set of circumstances, heat pumps can operate with greater energy efficiency than traditional HVAC units. In this post, learn more about heat pumps and how they may save you money on your monthly utility costs. All three types of systems function in essentially the same way to move heat to where it is needed. Heat pump systems are popular for more than just their simplicity and energy efficiency ratings. Flameless operation. A heat pump system doesn’t rely on any kind of pilot light or ignition system to operate, and no surface (inside or out) ever gets hot to the touch, reducing the risk of injury and of a house fire. No fumes or exhaust. 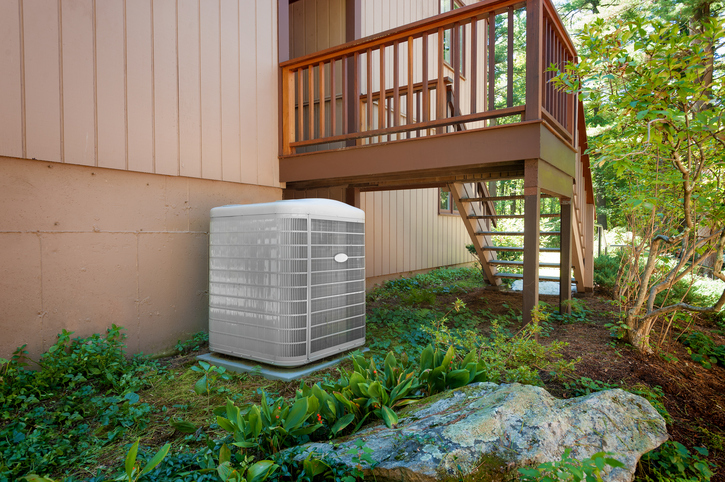 A heat pump system does not emit any waste or by-products caused by ignition or burning action, which keeps your indoor and outdoor air cleaner. Top-notch filtration. A heat pump comes with an inbuilt filtration system that removes common pollutants, toxins, and allergens from the air, including mould, mildew, pollen, dander, and dust. Pure air quality. A heat pump’s filtration and flameless operation delivers the purest possible air inside your home, helping to keep you and your family healthier all year long. Heat pumps have a lot to offer. They are safer, quieter, and, in most cases, more energy efficient than their traditional HVAC/furnace cousins. The source of a heat pump’s potential energy efficiency rests in how it does its job. Rather than manufacturing hot or cold air, it simply moves existing heat from one place to another. If you want cool indoor air, it moves the heat outside. If you want warm indoor air, it moves the heat inside. In other words, a heat pump requires no combustion, burning, or materials conversion to do this—all is accomplished with the simple movement of heat. The degree to which your home is airtight and well-insulated. The type of energy you are using. If your home is not presently well insulated and airtight, and there are leaks present in the air duct system, around windows or doors and/or between levels or in the walls, you won’t ever achieve the level of energy efficiency your heat pump is designed to offer. As well, if the only available energy source (propane, oil, gas, electricity) in your area is expensive, you may not realize the savings in monthly utility costs that a heat pump could deliver in a more energy-competitive location. So let’s say your home is airtight and well insulated. You have a variety of energy sources to choose from. You install a heat pump that uses the most competitively priced energy source in your area. With all these factors present and controlled for, current estimates indicate you could save up to 58 percent on your annual energy costs! Here at Shipton’s Heating & Cooling, providing you with the most economical, efficient heating and cooling options is what we do. As you can see from reading through this post, calculating which type of heating and cooling system will give you the most efficiency for the lowest price isn’t always so simple. 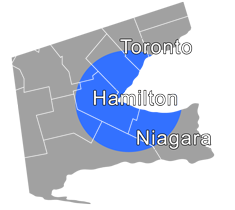 During our 92+ years of operation to date, we have helped thousands of clients in the Hamilton, St. Catharines, Oakville, and surrounding areas meet their indoor temperature control needs with the most economical, efficient, and reliable systems on the market. We install, maintain, and repair all brands of heating and cooling systems as well as consult on the best system choices for new construction. Give us a call at 905-549-4616 to set up your consultation.